Master Pools of Austin are on a mission to help customers create personalized pools that speak for them. Driven by creative flair and exceptional workmanship, we produce and preserve swimming pools of varying scopes and styles – from small backyard hot tubs to large water parks. No project is too ambitious for our team. 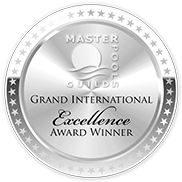 As members of the elite Master Pools Guild, we’re celebrated for our commitment to high quality results, sterling customer service, and excellent business ethics. From design to construction, we ensure your custom pool reflects the character of your home or business – whether that be sleek and stylish, or big and bold. We’ve installed over 50,000 pools throughout our long history, including in The Hills and across a wider area of Texas. Using our knowledge, experience and meticulous craftsmanship, we’ve delivered a vast array of products and services, such as: indoor and outdoor swimming pools, above ground swimming pools, geometric, freeform, Lautner edge, hot tubs, outdoor kitchens, and additional accessories. We also offer pool packages for those on limited budgets. Get in touch with our team today and discover how we can help your swimming pool installation come off without a hitch.